Overall, this volume fills an important niche between studies that look at Islamic fundamentalism and "global jihad" at the international level and micro studies that look at movements locally. It poses the question whether jihadist insurgencies are serious revolutionary threats to global political stability or whether, like Soviet Russia after its initial revolutionary phase of the 1920s, they can be ultimately contained by the global political order. The volume sees these movements as continuing to evolve dynamically over the next few years suggesting that, even if ISIL is defeated, the movement that brought it into being will still exist and very probably morph into new movements. 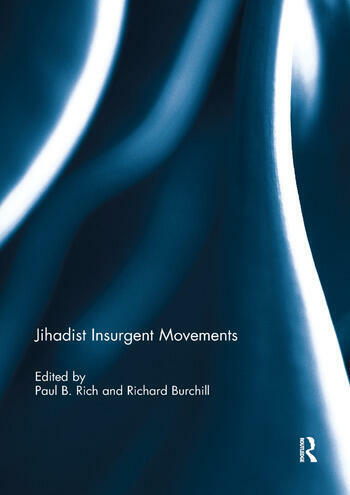 Jihadist Insurgent Movements was originally published as a special issue of Small Wars & Insurgencies. Paul B. Rich is co-editor of Small Wars and Insurgencies and the author of several books and articles on insurgency, counter-insurgency, terrorism and warlords. He has taught at the universities of Bristol, Warwick and Melbourne and is currently completing a book entitled Cinema and Unconventional War: Insurgency, Terrorism and Special Operations on screen, 1930-2015. Richard Burchill is the Director of Research and Engagement for TRENDS: Research & Advisory. Previously he was with the Law School at the University of Hill where he was also Director of the McCoubrey Centre for International Law. He engages in teaching and consultancy work with international organisations and national governments.